On 23 July 2014, elite athletes from 71 nations and territories will meet for 11 days of unmissable drama in 17 sports, in Glasgow – Scotland’s largest and liveliest city. 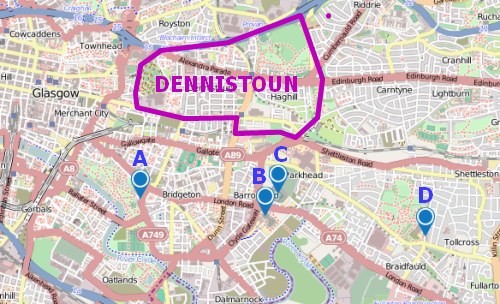 Best of all, much of the action takes place just a few minutes away from Dennistoun! Tickets start at just £15 with half price tickets for under-16s and over-60s. To give yourself the best chance of securing tickets to this once-in-a-lifetime event, remember to consider all the sports and sessions on offer. You can apply for the tickets you want online or by post. Shortly afterwards, you will be contacted and will find out if your application has been successful. For tickets to the very popular events where there is likely to be more demand than seats available – like the 100m final – there will be a fair and simple draw. It’ll be completely impartial, selecting people from all of the applications received. If your session is not oversold, you’ll get the tickets you asked for. Don’t worry – there’s no chance of you being given tickets for Netball if you asked for Table Tennis. You will only be given tickets to the events you applied for. You will be contacted by email with a summary of your tickets before any payment is taken. Full details can be found at www.glasgow2014.com/tickets.